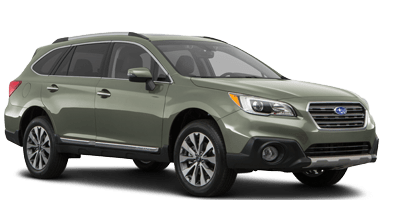 Join us for this exclusive engagement and test drive the all-new 2019 3-row Subaru Ascent and 2019 Subaru Forester. 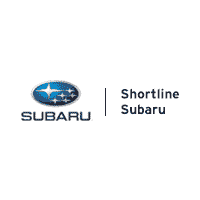 The biggest Subaru SUV ever and the SUV for all you love have arrived. 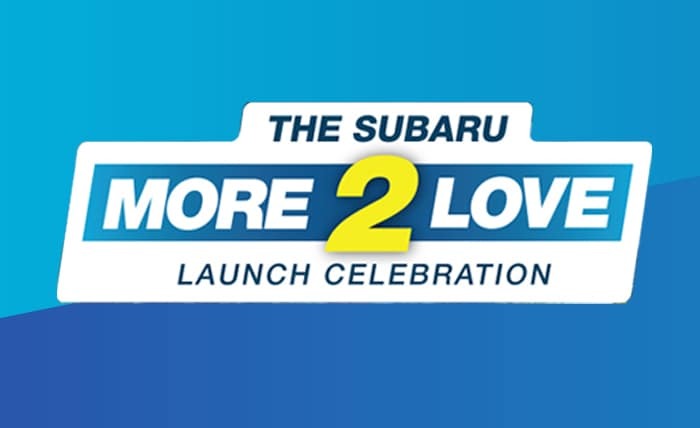 Join us for The Subaru More 2 Love Launch Celebration featuring the all-new 3-row Subaru Ascent and the all-new fully-redesigned Subaru Forester. 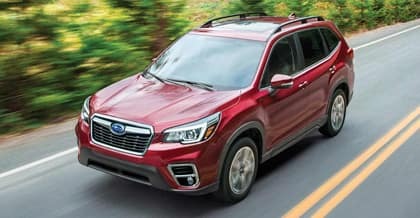 Get ready to gear up for everyday family adventure by taking a test drive in the capable Ascent, or prepare for all your next big life steps with a test drive in the versatile Forester. Hurry! Secure your spot today. Please fill out the RSVP form on this page. For questions or comments, email Carla Finn at Carla.Finn@Schomp.com. 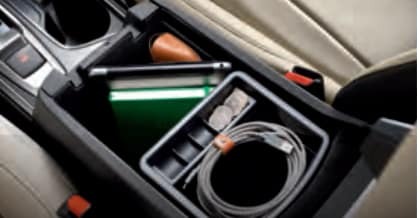 Does not apply to previous purchases nor vehicles that have been ordered with a deposit, and in which an agreement has been made, or contract has been signed. Coupon has no actual cash value. 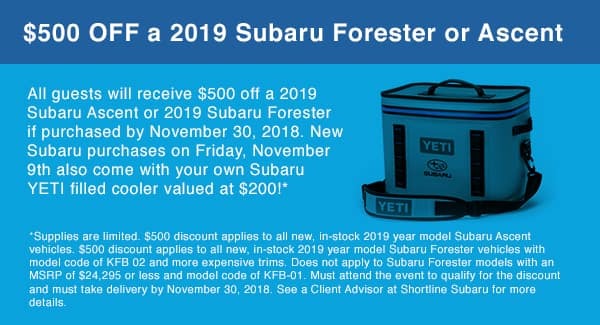 Contact a Client Advisor at Schomp Subaru for more details. 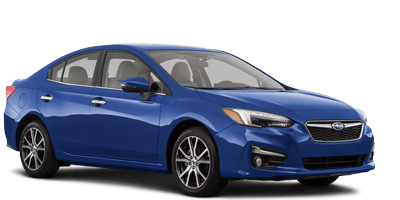 Offer expires 11/30/2018. 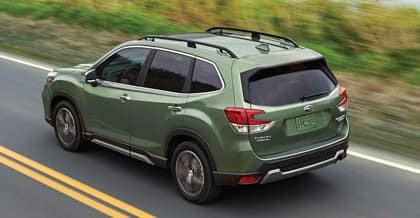 Introducing the all-new 2019 Forester. 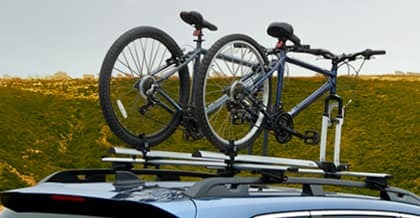 Completely redesigned inside and out, Forester has reached new levels of comfort, safety, and versatility to support you through all your daily adventures—while encouraging you to go on new ones. 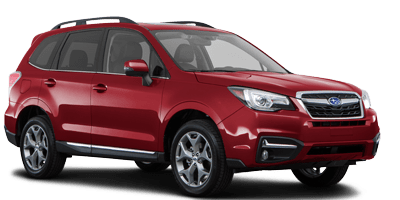 With a tough, compact body that's easily manoeuvrable yet spacious and comfortable inside, Forester gives you the peace of mind from knowing everyone's fully enjoying their time. 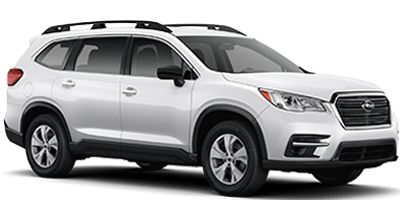 Introducing the all-new 2019 Ascent. Discover family adventure in three rows. With spacious, flexible seating for seven or eight, the Ascent is simply our biggest, most versatile SUV ever. 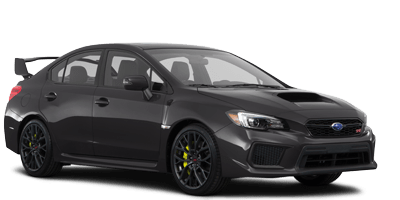 But it’s a Subaru at its core. 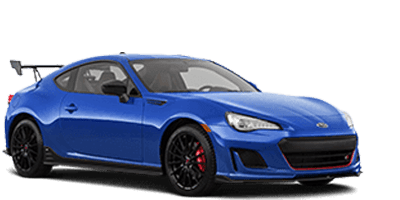 This means every Ascent is equipped with the proven capability of Subaru Symmetrical All-Wheel Drive. 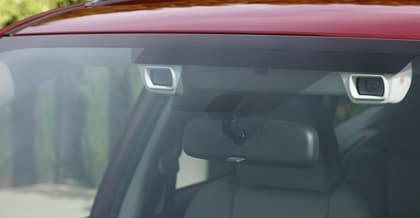 Plus, it’s the first Subaru vehicle to include EyeSight® Driver Assist Technology as a standard feature. 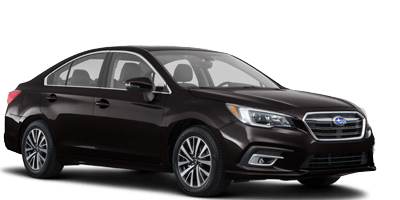 And just like your family, the Ascent was built to endure. 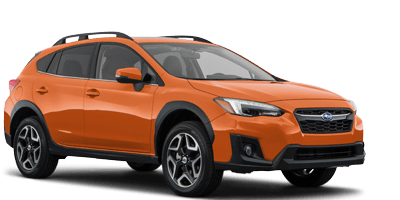 Of the Subarus sold in the last 10 years, 98% are still on the road today. DAVA - Downtown Aurora Visual Arts, provides arts education programs for urban youth ages 3 to 17 in Original Aurora, Colorado. Help us collect much needed supplies for the school - new paintbrushes, canvas and acrylic paint will be collected during Forester / Ascent Launch! Inspirational cards will also be collected at the event. Thank you!